A real rarity this, a smoky Macallan! This ultra-limited edition whisky is a very small batch release, drawn from around 100 casks, the majority of which were first fill sherry-seasoned barrels. Whilst Macallan is not known for its smoky whisky, the classic sherried style of Speyside (if not Scotland’s) most prestigious distillery actually suits peated spirit very well. Apparently immediately after the Second World War, the distillery produced a small amount of peated spirit due to the high cost of coal. Rumour has it that this whisky was the product of a mistake, after peated malt was sent to Macallan rather than another famous old distillery, also owned by the Edrington Group, Highland Park. Drinkers should expect gorgeous notes of smoked ginger, cinnamon, nutmeg, toffee, dried fruits, and of course, complex peat smoke accompanied by some floral and orchard fruit flavours. 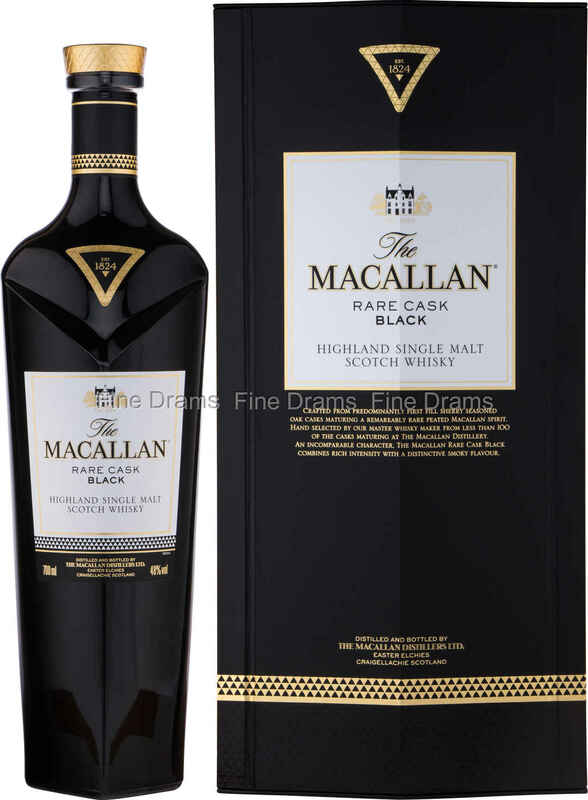 Perhaps surprisingly, this whisky continues to showcase classic Macallan qualities. The whisky is bottled at 48% ABV, and is bottled without colouration. This higher proof allows of the interplay of sherry and peat to really take hold. The bottle’s design is just as bold as the spirit within, with opaque black glass reflecting the dark flavours of the spirit within. Each bottle comes with its own impressive black presentation box. A tremendously exciting whisky, that fans of this distillery will definitely want to try!